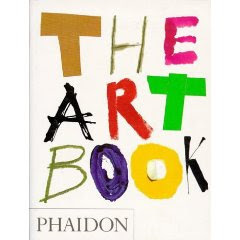 Freshman year of college, I was given The Art Book, by Phaidon Press, from my parents for Christmas. And although the gift was simply a result of my detailed list that I always give my parents in fear of quesionable presents, it was the timing that I received this book that is so significant. Looking back, this book really symbolizes the shift of my focusing in on art and, consequently, all the writing that comes along with art analysis. Writing about the way I see things visually, has truly facilitated my writing about everything from Ultimate Frisbee to the OU Debate Team. As an art enthusiast, one-time art history major and now an art history minor in the professional writing field, I still find that I can’t escape the visual tendencies in my writing. Hence, my reason in deciding to write a blog in which I navigate my way through The Art Book like I did when I first received this book two years ago. Except this time with new eyes and better preparation.